The mission of the Clerk/Treasurer’s office is to offer quality, progressive and cooperative services to the citizens and employees of the City of Batesville by applying sound financial practices and directing the City’s financial resources toward meeting its long-term goals. The City Clerk/Treasurer is an elected position with a four-year term. The Clerk’s responsibilities include maintaining the official records and public documents of the City of Batesville. These documents include resolutions, minutes, ordinance, and deeds to the properties that the City owns. The Clerk’s office provides staff support for the City Council agenda process and records the proceedings of City Council meetings; publishes City ordinances; files financial interest disclosures; maintains inventory list for all capital equipment, land and buildings. The Clerk’s office also provides administrative leadership, direction, and support to the Mayor, City Council, City Departments and the public. The Treasurer’s role is to organize, direct and control the accounting, payroll, accounts payable and receivable services for the City. The Treasurer provides all financial reporting, including monthly and annual financial statements. Financial recordkeeping and documentation of grants are maintained by the Treasurer as well as the City’s budget. The Treasurer is responsible for seeing that all employee’s insurance and retirement benefits are maintained and that records of such are kept for safekeeping. The Treasurer is annually audited by an independent auditor which is submitted to the Arkansas Legislative Audit for approval. The Treasurer maintains a system of accounting that complies with the applicable accounting standards and fully discloses the City’s financial position. The Clerk/Treasurer’s office is comprised of the City Clerk/Treasurer Denise M. Johnston, Senior Deputy/Payroll Clerk Brenda Riley, Accounts Payable Clerk, Lori Pierron and Clerks Assistant, Donna Smith. The Clerk’s office continually seeks to improve our services for all who use them-from the citizens of Batesville to the City Departments, City Council and Mayor. 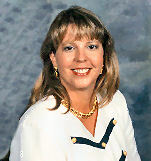 Denise was elected to office in November, 1990. A life long resident of Batesville, she is the daughter of the late Dr. and Mrs. O. B. May. Denise is a Master Municipal Clerk though the International Institute of Municipal Clerks Association. She received the honor of Arkansas Municipal Clerk of the Year in 2014 voted on by her fellow clerks from across the state. She currently serves as Treasurer of the Arkansas City Clerks, Recorder and Treasurers Association. Denise and her husband David have two sons and 2 grandsons and attend Believers’ Community Church.